From the backyard to the barnyard, los animales are coming out to play! 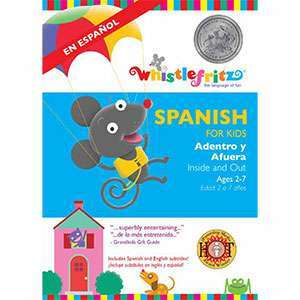 Children will love learning about el perro (the dog), el gato (the cat), el caballo (the horse) and other favorite animals while learning a new language with this award-winning Spanish immersion program. Join Maria and friends for this fun-filled, tune-filled frolic brimming with colorful illustrated backgrounds, puppets, animation and onscreen peers dressed in delightful costumes. 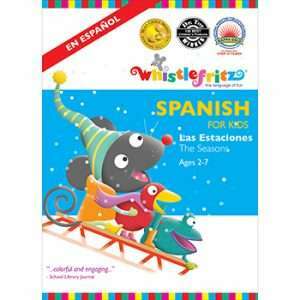 The engaging interactive format sets just the right mood for learning Spanish words, common phrases, and numbers. Original and traditional sing-along songs unleash even more language-learning fun. 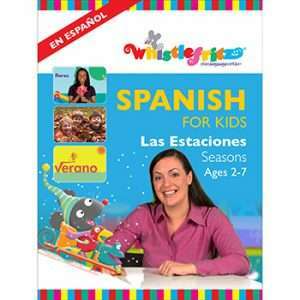 This video includes an easy-to-use translation guide for parents and teachers. 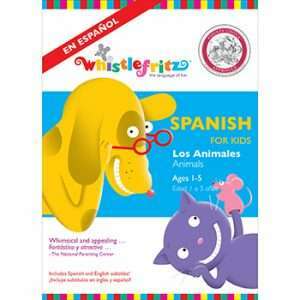 Designed for ages 1-5, LOS ANIMALES is fun for all ages! 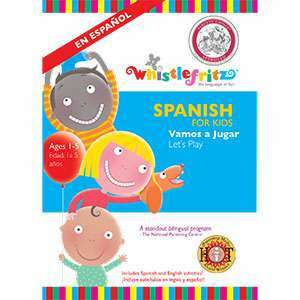 Winner of a 2007 Parents’ Choice Approved Award; winner of a National Parenting Publications Awards (NAPPA) 2007 Honors Award; endorsed by KIDS FIRST! 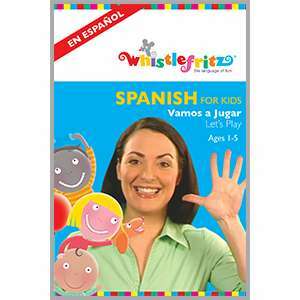 ; winner of The National Parenting Center's 2007 Seal of Approval; winner of Creative Child Magazine's 2007 Seal of Approval. 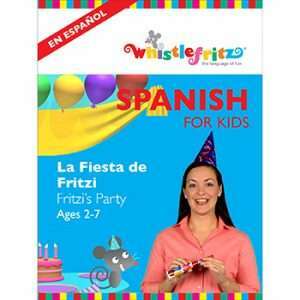 "…even children who have not been exposed to any Spanish can understand it! I love how they have plenty of repetition, sing songs that get the kids dancing, and show silly skits that get the kids giggling." Wanna Jugar With Migo?